Most people who struggle with drug addiction know that they need help. However, they often don’t seek assistance because they don’t know what to expect from drug treatment centers. Knowing what to expect can make attending rehab less intimidating. A typical day at a rehab center depends greatly on the facility itself. In general, most drug treatment centers start people with a hearty breakfast. They typically like for their clients to get an early start to the day too. Having a reasonable schedule helps people develop healthy living habits. In some cases, rehab centers break up the days that people attend each of these therapies. For example, they don’t attend a family therapy session every day. Instead, it’s more common for them to attend group and individual therapy on a daily basis. In between the sessions, people have time to relax. Most rehab centers have facilities to help them pass the time. Some people even develop new hobbies. What to Expect From Rehab Centers? With the happenings of a typical day in mind, people should learn what to expect from rehab in general. For example, most rehab centers don’t have locks on the doors for the safety of their clients. During the early stages of rehab, it’s common for people to experience depression. The staff at drug treatment centers must have quick access to their clients at all times. 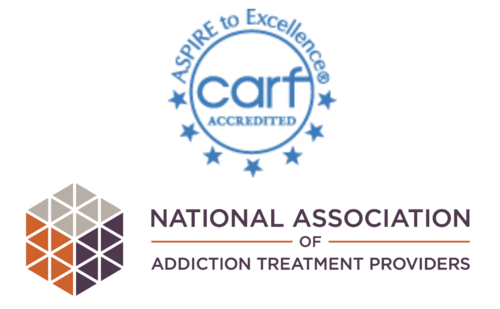 Drug treatment centers also help educate people about addiction. They teach both the clients and their families. Most people don’t truly understand addiction, which makes it hard for families to cope. Proper education shows them that addiction is a mental disorder rather than a life choice. Don’t let addiction destroy your life or the life of a loved one. Reach out to us today to find out how we can help you overcome addiction. Call 866-304-8254 to begin your journey to recovery. PreviousPrevious post:Employee Spotlight: February 2018NextNext post:What Is Structural Family Therapy? How Long Does Percocet Withdrawal Last? Codeine vs Hydrocodone: Which Is More Addictive? What Does the Percocet Withdrawal Timeline Look Like? Call us at (866) 304-8254 to start your recovery process.